Wildlife :: Mature downland course, with its rolling fairways, and stunning views over the horizon of London. 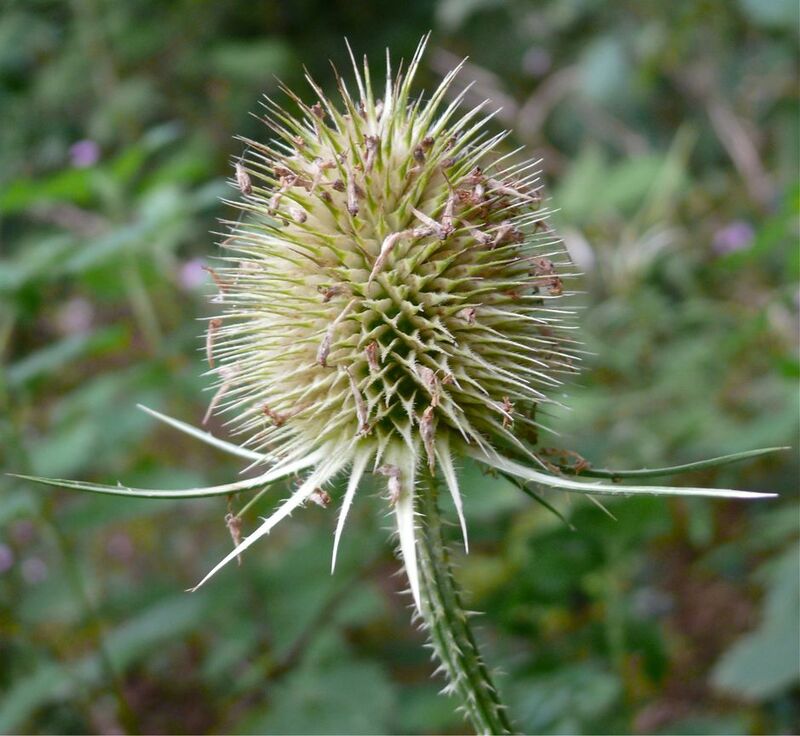 The whole of the land owned by the club is Green Belt, and has been designated a Site of Special Scientific Interest because of its unusual flora and fauna. The result is that, away from the greens and fairways, Purley Downs often seems more like a nature reserve than a golf course. 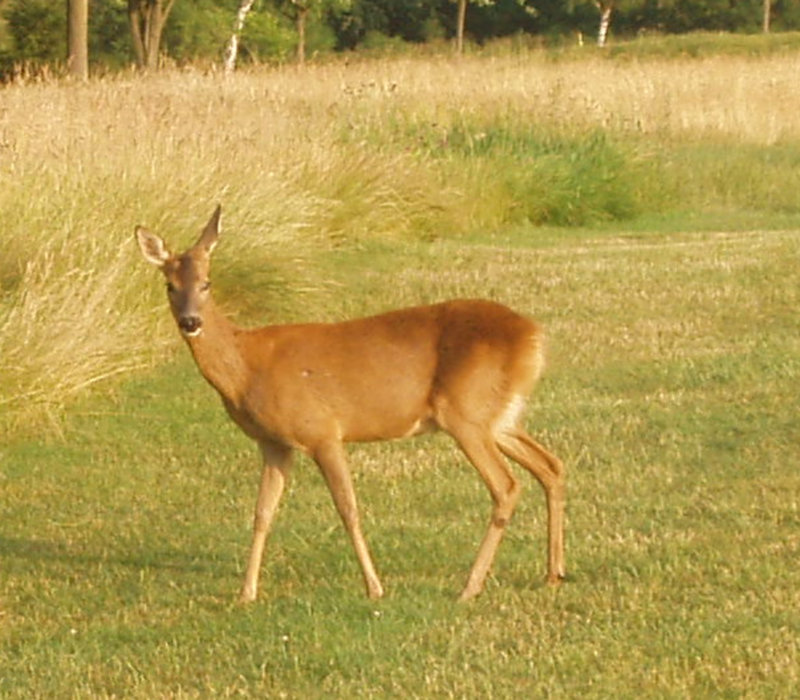 Roe deer and their young are invariably seen, as are pheasants, green woodpeckers, and ring-necked parakeets. The variety of trees make the course a virtual arboretum, with oak, yew, whitebeam, silver birch, and rowan the most prominent. 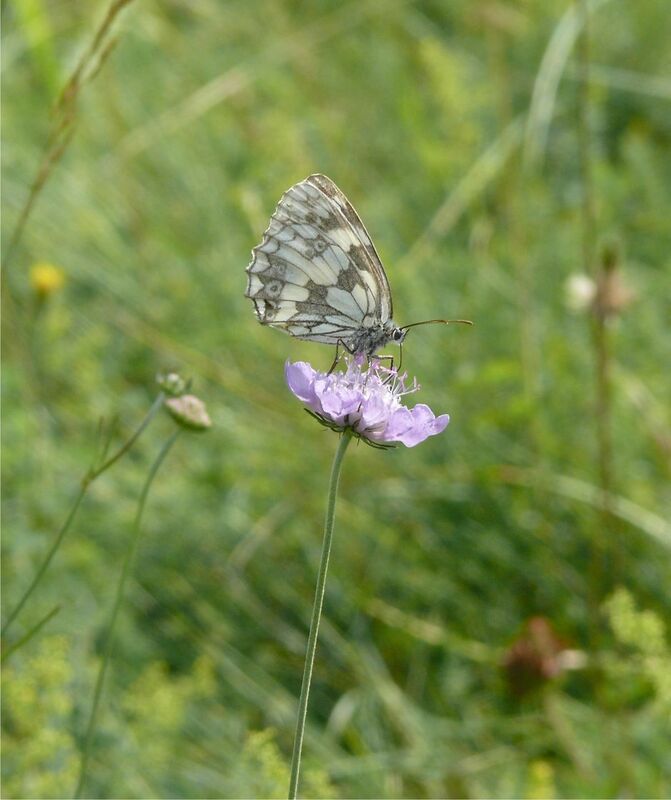 Look a little closer, and, thanks to our situation on chalk downland, there is a very rich flora with butterflies to match. 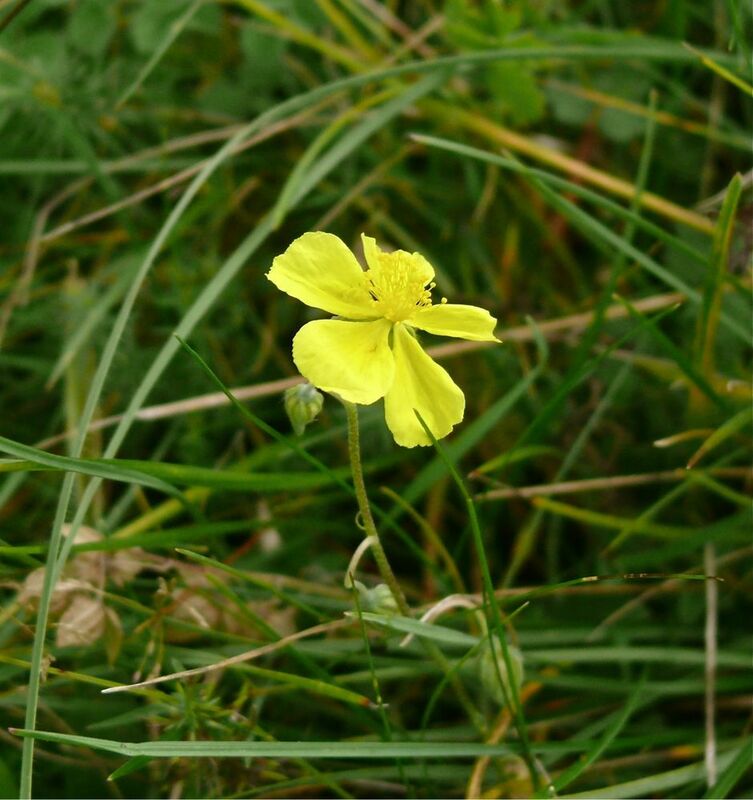 Before Purley Downs was founded in 1894 its site was inhabited by sheep and rabbits, and they kept the landscape almost treeless. As sheep were displaced by golfers, and the rabbits died out (largely through myxomatosis which killed 95% of the British population in the mid-1950s), trees moved in. In the last few decades that has created a perfect habitat for roe deer. They now live in the woods, but make frequent forays across fairways. It is a rare day when they are not seen. There are several very active badger setts, and foxes live and breed on the course. In 2014, for a few weeks in the summer, a small cub often sat by the path up to the 2nd tee, scampering off only when players came within a few yards. On another occasion that year, a fourball approaching the 15th green saw five cubs gamboling about in the right-hand bunker. Small mammals such as voles and shrews are rarely seen, but the presence of kestrels tells us they are here. Reptiles and amphibians are not much in evidence. The occasional frog and toad are seen, and common lizards have been spotted sunning themselves on the rockery in front of the clubhouse terrace, and in the grassland behind the 10th green. Harmless grass snakes and slow worms are occasionally seen on hot sunny days, and a few years ago adders were spotted. 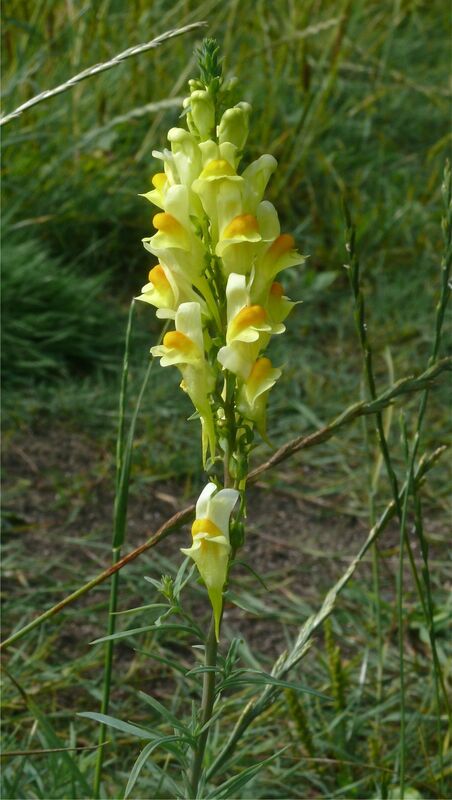 The course has a magnificent flora, with more than 220 species of wild flowers and trees. 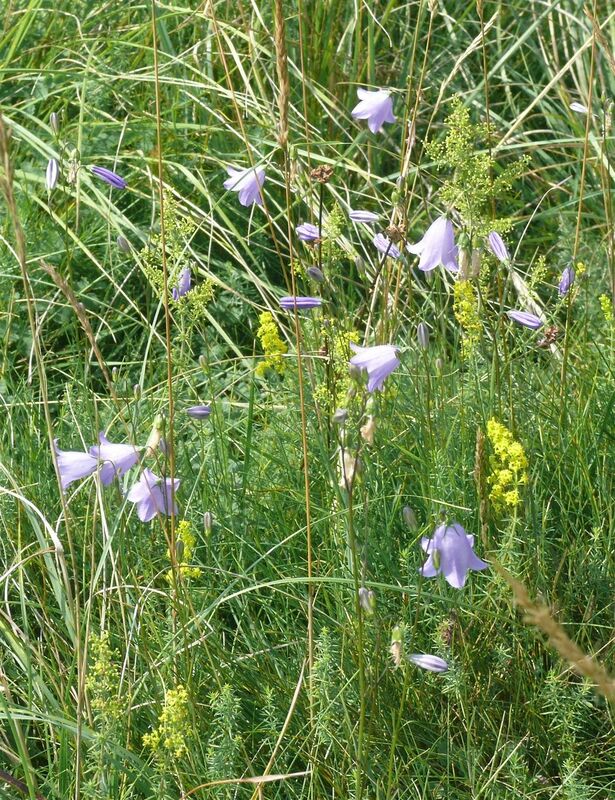 The stars of this display are the common spotted orchids on the bank behind the first green, the royal blue of round-headed rampion, baby blue of the harebell, and the lemon yellow of rock rose (plus the odd rare white variety) in the grassland. 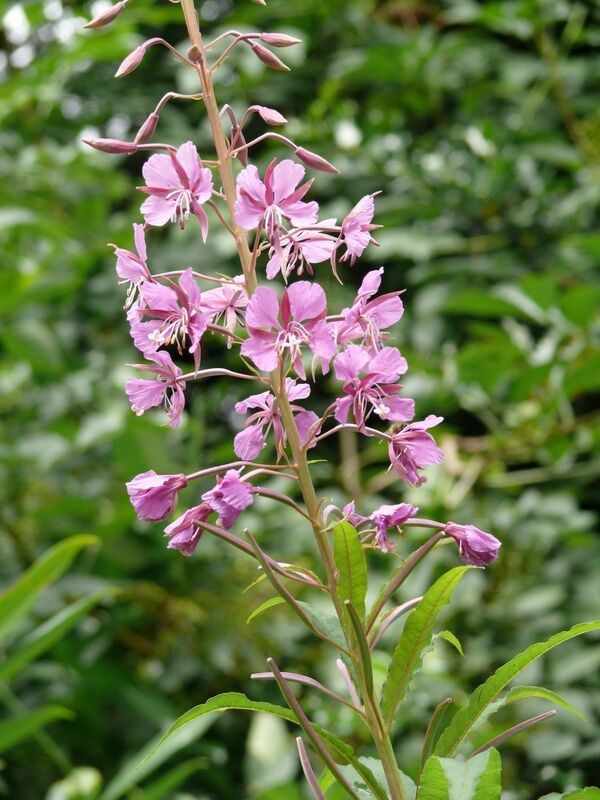 Other colourful flowers of the rough and woodland edges are: honesty, goldenrod, yellow rattle, marjoram, toadflax, field scabious, teasel, agrimony, rosebay willowherb, wild basil, storksbill, wild strawberry, ladies bedstraw, Pyrenean cranesbill, ox-eye daisy, mallow, long-headed poppy, primrose, slender speedwell, milkwort, and wild thyme. 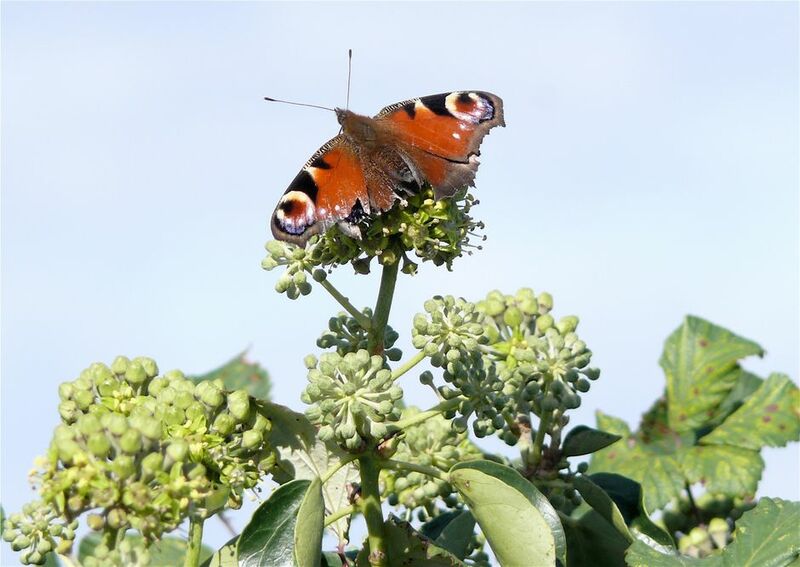 The grassland and woodland margins support a healthy number of butterfly species. There are several colonies of common blues and marbled whites, and one of the first signs of spring is the deep yellow of a brimstone flickering along the woods beside the 2nd fairway. 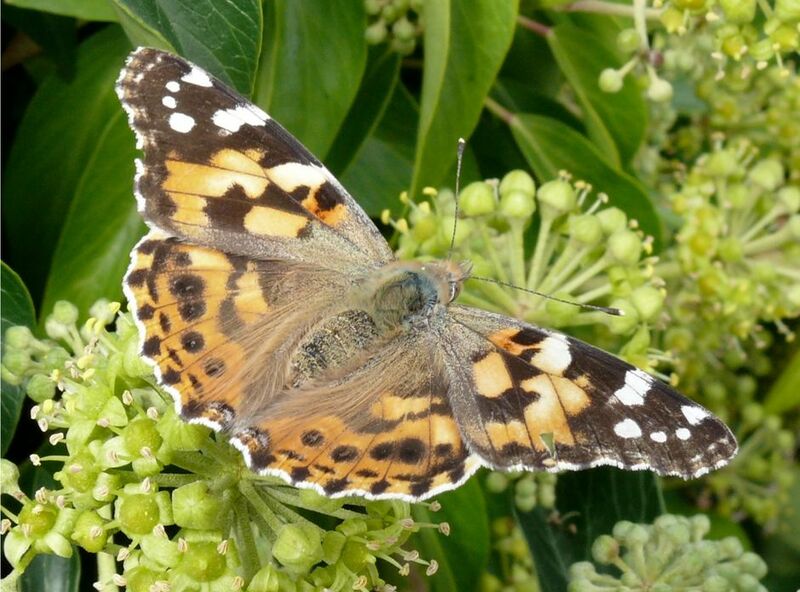 Other species regularly seen are: meadow brown, gatekeeper, speckled wood, holly blue, peacock, comma, red admiral, large skipper, painted lady, and ringlet. 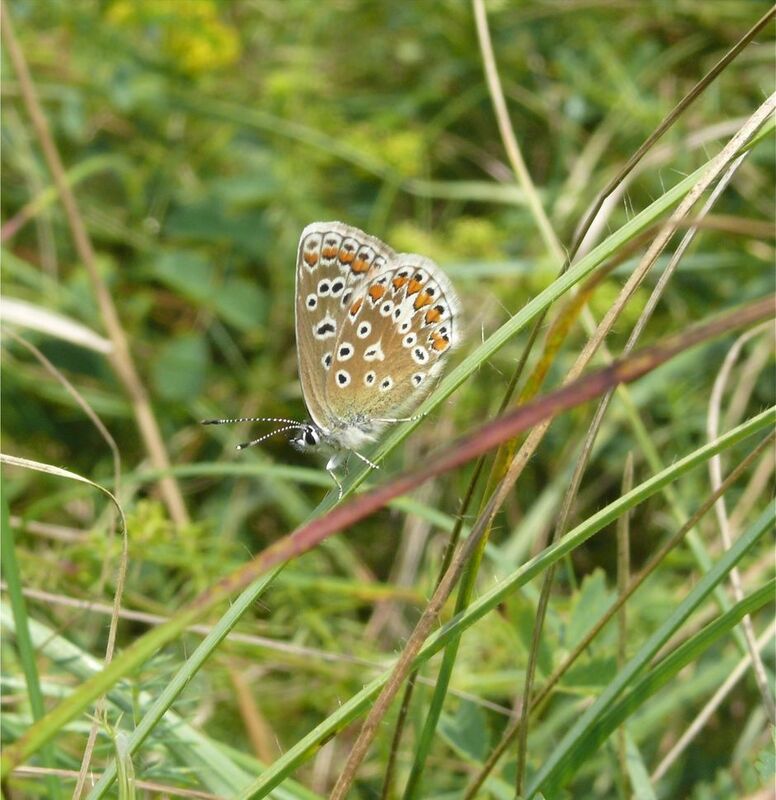 Chalkhill blues, once plentiful on parts of the course (and may yet be again), are still seen every late July and August. 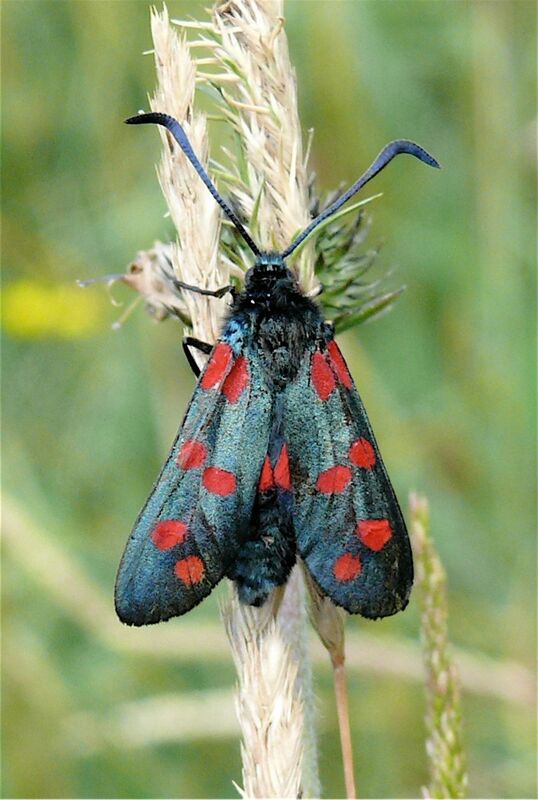 The striking, green and red six-spot burnet moth – so colourful it is often mistaken for a butterfly – is a summer regular. 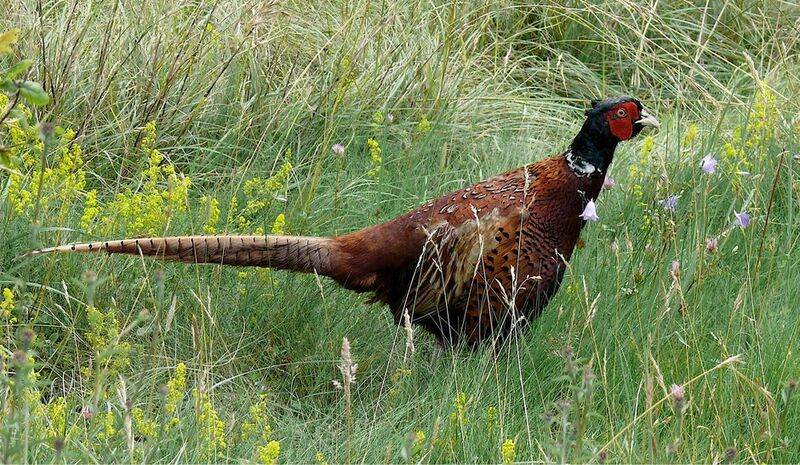 No one can play Purley Downs and be unaware of our resident, and unusually friendly, pheasants – the colourful males, and the neater mottled brown females. Green woodpeckers are often heard, or, in summer, seen rolling on the ground to pick up ants they can later eat. In spring, the great spotted woodpeckers can be heard drumming on trees. Small flocks of bright green ring-necked parakeets are frequent visitors, and kestrels are sometimes seen hovering or perched on a high branch. The odd sparrowhawk is spotted, for several years grasshopper warblers were heard near the 16th tee, and, at night, the hoots of tawny owls are occasionally heard. Other sightings in recent years have been: red kites, peregrines, redwings, nuthatch, mistle thrush, and, in 2012, a rough-legged buzzard. Bats are a fairly common sight from the clubhouse verandah at dusk, the most common one being the pipistrelle. The club has erected bat boxes in various areas of the woodland for their protection and support. The course is notable for the amount of native trees. The yews, a classic species of southern downland, are the most striking trees on Purley Downs, especially when a setting sun makes the trunks glow dark red. There are oaks, whitebeam, ash, field and Norway maples, beech, Corsican pine, rowan, wych elm, large-leaved lime and other species. Careful management has meant that horse chestnut and sycamore – whose large fallen leaves are the great enemy of those hunting for a wayward ball – are few in number, unlike on some local parkland courses. Small trees and shrubs include hazel, holly, dogwood, spindle, and blackthorn, the giver of sloes. 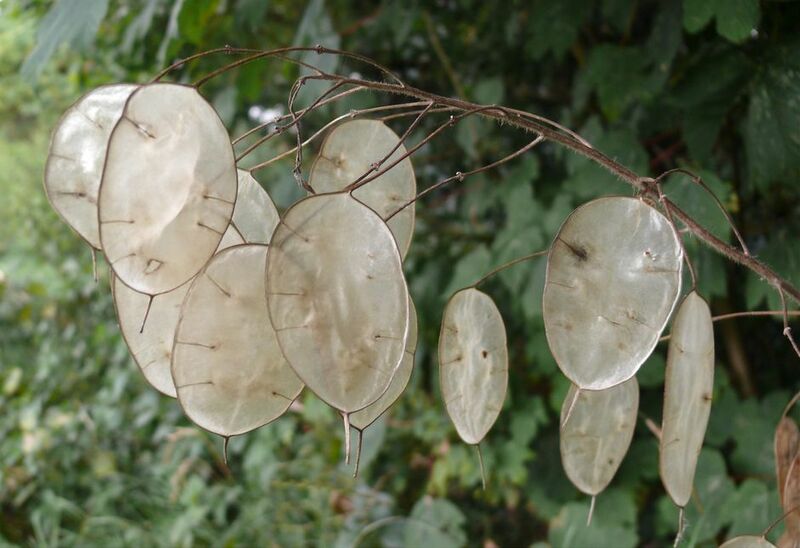 Climbing over these at woodland margins in many places is old man’s beard, Britain’s only native clematis. 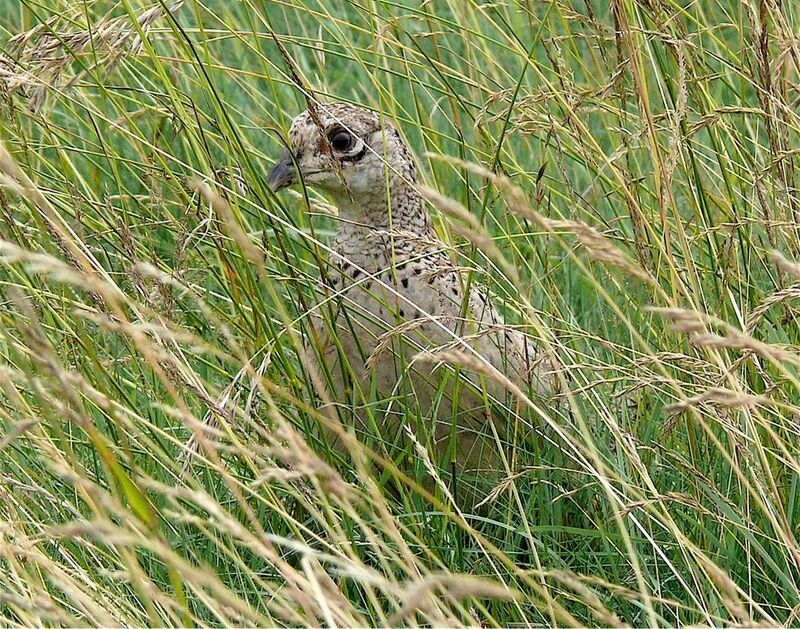 There are very few golf clubs (and certainly none for many miles around) whose course can boast such a rich and varied wildlife. 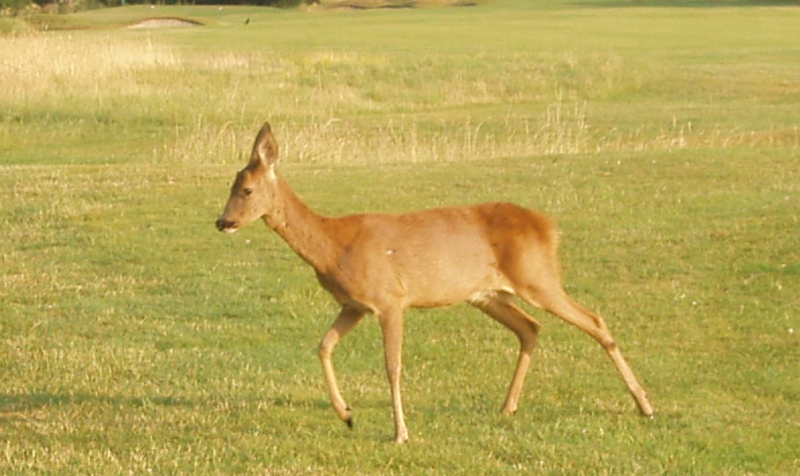 While golf and maintaining the legendary quality of our fairways and greens are the club’s priorities, Purley Downs is living proof that these objectives need not conflict with protecting and encouraging wildlife.